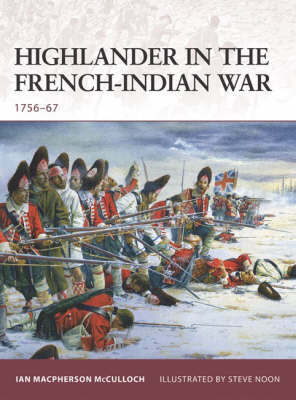 Colonial American historian Ian Macpherson McCulloch uses rare sources to bring to life the stirring story of the three Scottish Highland regiments that operated in North America during the French-Indian War (1754-1763). Forbidden to carry arms or wear the kilt unless they served the British King, many former Jacobite rebels joined the new Highland regiments raised in North America. Involved in some of the most bloody and desperate battles fought on the North American continent, Highlanders successfully transformed their image from enemies of the crown to Imperial heroes. The author pays particular attention to the part they played at Ticonderoga, Sillery, Bushy Run and on the Plains of Abraham, Quebec.